The State Government of Osun has appointed Mr. Sola Imoru as Media Adviser to Governor Adegboyega Oyetola. Until his appointment, Mr. Imoru was the Head, Information, Protocol and Public Relations Unit of the Adekunle Ajasin University, Akungba Akoko. 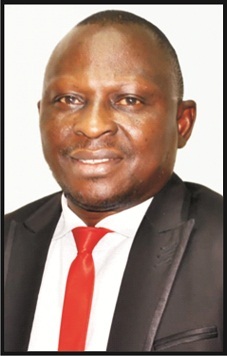 A well-traveled journalist and public relations expert, Imoru started his career at The Punch newspapers where he was at various times media trainer, Group Political Editor, Education and Science. Editor, member of the Editorial Board and Editorial Page Editor before joining the services of Adekunle Ajasin University in 2011. Imoru holds a Bachelor’s Degree in Education and Language Arts and a Master of Arts in English Language from the Universities of Ibadan and Ilorin respectively. He also holds a Certificate in Newspaper Management from the International Institute for Journalism, IIJ, Berlin, Germany. He has at various times received professional training in Europe and at the National Institute for Policy and Strategic Studies, NIPSS, Kuru, Jos, the Lagos Business School, the Nigerian Institute of Management and the Nigerian Institute of Public Relations, NIPR. Mr. Imoru was among ten African journalists nominated to tour Europe during the EU/African Bilateral Relations Summit in 2007.